All consultations are by appointment with a routine time of 10 minutes. To book an appointment call 0121 411 0363. If you are registered with us and wish to book on-line please ask reception to print you out a Patient Access form. We will endeavour to book an appointment with a clinician of your choice. However, this may not always be possible and if this is the case you will be advised accordingly. A nurse/HCA triage clinic is held every day and they can advise and organise a doctor to see you as necessary should the appointment of your choice not be available. If you have seen your GP and they have referred you to see a specialist please view our Patient Referral Leaflet to find out what to do/expect next. If you still have any questions please call us on 0121 411 0363 or e-mail halcyonmedical@nhs.net. We offer same day appointments for any child under the age of 5 years old. This can be arranged by telephone or in person. The practice nurses are available by appointment between 9.00am - 4.30pm, Monday - Friday and between 10.00 - 14.00 on Saturday and 11.00 - 14.00 on Sunday. This guide is intended to help you understand how the appointments system works at our practice so that you can be seen most effectively. Our aim is to see any patient who has a health problem within a timespan that is appropriate for that problem. As a practice we undertake more than 42,500 clinical contacts in a year for our population of more than 11,000 registered patients. Some of these consultations are for new illnesses whilst others are for continuing problems, with more than 90% of all medical care being provided in general practice. It can therefore be a massive challenge to match the needs of individual patients to the supply of appointments. Telephone appointments. A telephone call can often save time for both patients and doctors, and we are developing telephone consultations as a means of improving efficiency. Urgent (same day) appointments. These are intended for problems that need to be dealt with as a matter of medical urgency. Please telephone early in the day if you genuinely require one of these appointments. Soon appointments. We aim to offer an appointment within three working days for people with problems that are not urgent but need reasonably quick attention. These appointments become available on a rolling basis and so it is not necessary to phone at any particular time of day to be given one of them. You will offered an appointment with the first available GP, not necessarily the one of your choice. Routine appointments. These can be booked several weeks in advance and are best suited to follow-up of continuing problems with a doctor of your choice. Nurse appointments. Our nurses can deal with a range of common problems including monitoring long term health conditions. Home visits. Given that a doctor can see three or four patients in surgery in the time that it takes to do a single visit, home visits are restricted to patients who are genuinely unable to get out of their home. In person. We are happy to make appointments at the reception desk although it can sometimes be very busy as other patients will be wanting to check in or have other requests. By telephone. This is still the most popular way of making an appointment although our lines can sometimes be very busy depending on the number of patients phoning. Online. Soon and routine appointments can be made online, and this has the advantage that you can access them even when the surgery is closed. You need to register at reception initially in order to get access to the online service. At the current time you cannot make urgent (same day) online. Is it ‘urgent’? Please don’t request an urgent (same day) appointment unless you consider your problem to be medically urgent. If you are not sure then you can ask to leave a message for one of the doctors to phone you back to assess your situation. Inappropriate requests for same day appointments mean that it is more difficult for patients with genuine urgent problems to be seen. Think ahead. If you have a long term medical condition or you take regular medication then you will need to be seen periodically for review, usually every six or twelve months. Please try to book these review appointments well in advance so that you can see the doctor (or nurse) of your choice. 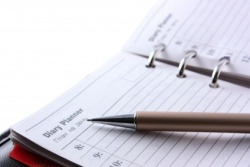 Appointments can usually be made up to six weeks in advance. Turn up … or cancel. Please don’t miss an appointment that you have booked. This is wasted time that could have been used for another patient. If you can’t make an appointment or need to change it then let us know. Can anyone else help? Before you make an appointment please think about whether there are any other services that might be more appropriate. For example, remember that pharmacists are trained to give advice about minor health problems and answer any questions about your medicines and treatment. The NHS 111 system is also available to guide you to appropriate sources of advice. What’s the problem? Understandably many people are reluctant to tell a receptionist about the reason that they want to see a doctor. However our reception staff are more likely to be able to guide you in the right direction if you give them a rough idea about your problem. All our staff have a responsibility to treat your information confidentially, and we take this very seriously. Go online. You can book routine appointments with a doctor online, as well as ordering repeat prescriptions. Online services are available 24 hours a day so you can use these services at your convenience. Using the online services also reduces demand on reception staff during the day so everybody gains. You will need to register to be able to do this and reception staff will be happy to give you more information. Telephone consultations. If you have a simple problem or question then it may be possible to sort this out over the phone. Ask the receptionists to take a message and we can call you back. However please check that we have your correct phone number and you let us know if there is a best time to call. Continuing care. If you have an ongoing problem then pleas, if possible, try to see the same doctor for each appointment. This means that you don’t have to keep on repeating your story, and enables the doctor to build up a better picture of what is going on. If you have been for a consultation and been told that you need a follow-up appointment then try to make it before you leave the surgery. Multiple problems. A routine appointment is for 10 minutes. During that time the doctor needs to read up on your records, get you from the waiting room, deal with your problem(s), and write up the records. If you have more than one problem then it may not be possible to deal with it in a single appointment. Ask the receptionist if you think that you may need more time. Be patient. Please understand that the receptionists and clinical staff are trying to meet the needs of thousands of patients, each of whom is very important. Although we want to offer personal, patient-centred care, we are often stretched to the limit. Please try to be understanding if things are not completely to your satisfaction. Finally, although our reception staff will always do their best to offer you an appointment that meets your needs when you contact us, if one is not immediately available then you will be invited to leave a message so that the doctors can decide on the best way to deal with your problem. As a practice, we want to make it easier to access the right services with the right person, in the right place and at the right time so we are extending the number of GP appointment slots available. You can now get appointments with a GP or other healthcare professional in the evening and at the weekend. When are the extra appointments? Ring the practice on 0121 411 0363 or book online. Online Access for patients is available at Emis Patient Access. Please come into reception to collect the relevant paperwork needed in order to create your account for Online Access. If you would like to register for Online Patient Access please ask at our reception desk for a registration form. Once you have the Online Patient Access registration form just follow the instructions to create your Online Access account. NHS 111 is a new service that has been introduced to make it easier for you to access local NHS healthcare services in England. You can call 111 when you need medical help fast but it’s not a 999 emergency. NHS 111 is a fast and easy way to get the right help, whatever the time. If you need to be seen urgently (After you have called 111 or if it isn't a case for A&E), please tell the receptionist who will arrange for you to be triaged by a practice nurse who will then make a doctor's appointment as deemed appropriate. Please inform the receptionist when you arrive for your appointment. If you need emergency help or advice there is always a Doctor on call. Our Nurse practitioners are able to manage minor ailments and if needed will seek help from the Doctor on call. We also offer the services of a Nurse prescriber. This service is only for emergencies so please do not misinform the practice or you could be preventing someone with an actual medical emergency from seeing a member of staff. Home visits are for those patients who are too ill to attend surgery and only when absolutely necessary. Doctors are restricted with the examination/investigations they can carry out in the home. If you feel you need a home visit please telephone as early in the day as possible. It helps us to judge the urgency of the call if you describe the symptoms, so do expect to be asked. NHS 111 is a service that has been introduced to make it easier for you to access local NHS healthcare services in England. You can call 111 when you need medical help fast but it’s not a 999 emergency. NHS 111 is a fast and easy way to get the right help, whatever the time. The following table contains an alphabetical list of all available appointments at this Practice with the type of Clinician who will perform the appointment. The following table contains an list of all available appointments at this Practice sorted by the type of Clinician who will perform them.